Nintendo 3DS early adopters are being warned they risk 'signing their life away' after it emerged Nintendo owns all of user's 3DS content and reserves the right to remotely brick their portable 3D consoles without warning. An aspect of the console's Terms and Conditions overlooked by many users of the glasses-free 3D gaming device awards Nintendo the right to access user's in-console content and, if Ninty deems you to be using the console in an inappropriate manner, brick the device. Furthermore by agreeing to the Terms and Conditions associated to the Nintendo 3DS, users are allowing Nintendo to legally own all of their content including messages, images and personal information. Update: Speaking with T3 Nintendo has been keen to stress that such Terms and Condition requirements relate only to US-based users of the 3DS with European laws preventing such practises in the UK and across EU nations. "Nintendo would like to reassure any concerned consumers that under our European terms and conditions and in compliance with European requirements Nintendo does not have rights to user content, such as comments, messages, images, photos or movies, which are shared in private communications between users or simply stored on Nintendo 3DS," announced an official spokesperson for the Japanese company. With many users no doubt failing to fully read the seemingly over demanding but perfectly legal T&Cs early adopters of the handheld console that launched in the UK earlier this year are now fearing for their privacy. Tasking with hitting back at Nintendo's controlling conditions campaign group have sent more than 150 cardboard bricks to Nintendo's offices in protest. "We urge Nintendo to drop their terms and conditions and apologise,” said Joshua Gay of the Brick Nintendo Before They Brick You campaign. 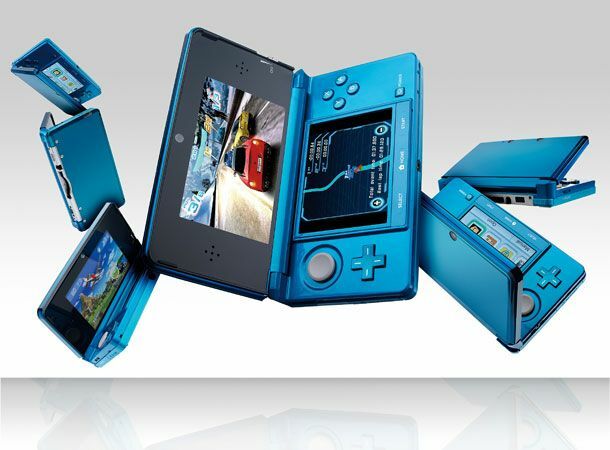 Have you snagged yourself a Nintendo 3DS, were you away of the privacy issues when agreeing to the terms and conditions? Let us know via the T3 Twitter and Facebook feeds.